SEO, a simple looking technique yet tough to learn and apply. SEO is a method for Search Engine Optimization to make your blog rank higher thus increasing the organic traffic. 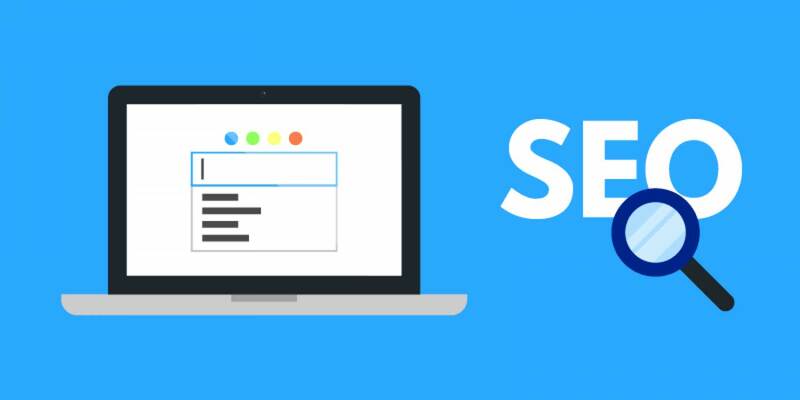 Learning SEO is one of the most vital points of blogging, and if you wish to bring traffic from search engines, you have to learn and apply it along the way. But, learning SEO takes decades. You need to perfectly understand it and practice it. What works for me might not work for you, so you have to rely on search engine optimization techniques. There are some Best practices of SEO you can utilize at the primary level to make an SEO Optimized Article which will rank on page one. Today, I am going to share 20 foolproof SEO Techniques you can apply to make an SEO Optimized Article. SEO starts with keyword research. If you don’t understand what the keyword you wish to rank for, you can’t use SEO. But targeting a broad keyword can be competitive, and your chances of ranking against big payers are very slim. For example, keywords like Best Camera, Women’s Fashion, and Laptops are very competitive keywords. If you want higher rankings, you have to target Long Tail Keywords which can be easily outranked with proper SEO Techniques. So How to Find Long Tail Keywords? Google keyword planner is a great tool to get you started. First of all, choose a topic. Of course, your keyword is going to be one hell of a competitor keyword. So what are going to do is, find category keywords of the main keyword. So my point is to use MODIFIERS in your main keyword that has decent search volume. Now that you have found a long tail Keyword and low competition keyword, now you can start writing your article. Write your tile first before you start writing the article. My target keyword was’Improve Writing skills’ which I have added in the title. Also, I use MailChimp (a rival ) from the name in order to make it rank for various other search terms. But it’s not a compulsion, and you should not mess your name for this. URL of your article (also called a slug in WordPress and Permalink in Blogger) should be brief and contain the focused keyword. Don’t keep it as it was when you add your title and do not use words like I, He, It, They, This, etc.. The advantage of this is that it helps in Rankings and it can get more shares on the Social Media Channels. Words like Best, Greatest, Free, List, make your title more clickable and Share-worthy. For instance, consider below two title tags. 2. 10 Best Fashion Ideas for Men. Which one would you rather click? Of course, the second one because it catches our attention quickly and maintains numbers of ideas. While writing your article, try to include your Focus keyword in the first 100 words. It helps search engine bots to find and rank your blog post for that specific keyword. By default, WordPress uses H1 tag for the title, but if your blogging platform doesn’t support it, then you should wrap your title under the H1 heading. The title is the most important thing of your site, and thus H1 heading is used for titles only. 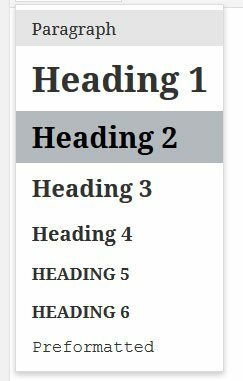 Never use numerous H1 headings; there should be only one in each article. Sub Headings like H2 and H3 have been utilized to differentiate your content into subcategories. Try to add your Focus keyword in at least one of the subheading (Except for H2). Though it’s not a major ranking factor, it helps a little bit in SEO. Again, don’t overdo it or force it. It is best SEO practice to add your keyword naturally. Outbound links are those who point to some external website in your article. Outbound links to authority sites like Wikipedia, Forbes, BCC gives your customers the opportunity to learn more about the subject. Doing so increases your site quality and leaves a positive impact on search engine crawlers. Here’s a great article by Harsh Agarwal on the Significance of Outbound links in SEO. Internal links mean to link your post from the same site within the article. The main advantage of interlinking is it helps you rank higher by passing the link juice of other articles. Interlinking makes Google robots index your previous posts again. In addition to that, it keeps your readers wandering on your site by reading multiple articles. LSI Keyword Stands for “Latent Indexing Keywords.” In simple words, LSI keywords are similar keywords to your Focus keyword which help your article rank for related keywords too. Adding 3-4 LSI keywords throughout the guide is a common SEO practice. Materials such as pictures, movies, GIF, etc., make your article more visually appealing and increases the time spent by a reader on your website. It helps in reducing Bounce Rate which is a major ranking factor in SEO. Bounce Rate = Rate where an individual leaves your website after loading. Also, visual contents perform better on social networking Channels that might make your post go viral. Page Loading Time Plays an essential role in SEO and ranking. Google prefers faster-loading sites over those who take decades to load. Images take the maximum time to load, and so reducing the picture size will help in boosting your website speed. Compressor.io is a free online tool which compreses your images without degrading quality. Content Delivery Networks such as MaxCDN are also popularly used to keep the loading time as low as possible. After you’ve uploaded your images in your blogging system, add relevant alternative text to help Google understand your article. Your focus keyword should also be included in one of these images. In WordPress, while uploading an image, you’ll find the Alt Text choice in the sidebar of the picture. But in Blogger, you have to click on the image and then go to properties to add Alt Text. Since web crawlers can not find the visual content, they rank your images based on the alternative text. Social media has a great potential of bringing traffic, and if your website is getting more clicks from social media, then it will automatically move up in the SERPs. Adding social media buttons in your blog will provide your visitors with a medium for sharing your own content. A sidebar is the most user-friendly area to place these social buttons. 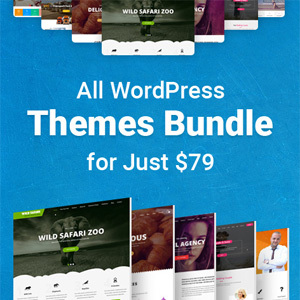 There are so many free as well as paid plugins are available for WordPress you can use. On my personal blog, I’m using Monarch from Elegant Themes. Using Bold and Italic font styles in some important sentences in your article will help your audience engage in your content. This is the number one thing the majority of the blogger doesn’t use. Try to use Bold and Italic wordings and wrap your Focus keywords inside it. LSI keywords can also be used to wrap under bold and italic wordings. A case study shows that longer articles tend to perform better in search engine positions. Although the minimum word count to get a great SEO Optimized Article is 300 words(Suggest by Yoast), longer articles rank higher due to the in-depth reasearch. I aim to write my posts at least 1000 words long, and I have written one massive 11000+ words long article too. But it does not mean that you should reframe your sentences and write it over and over again. Always try to provide value to your readers and that can be achieved by writing well researched in-depth content. Bots crawl comments too. So when there is a number of comments answering the questions, it gives a good sign to google that your article is user engaging. You need to encourage your readers to share their thoughts, ideas, and suggestions for your article. A couple of lines at the end of the article does the job, and people are more likely to comment when they are asked to do so. Meta Descriptions are the overview of your article shown beneath the name & link on the search engine result pages. It’s limited to 150 to 170 characters and plays a vital role in rankings. By default, the blogging platform like WordPress will automatically place the first 160 characters of your content as the meta description. WordPress plugin such as Yoast SEO allows you to compose a personalized meta description for your post. Try to include your main keyword and relevant words in meta description to increase the click-through rate. Don’t include your focus keyword in each line and paragraph article you write. Try to be as natural as possible when including your targeted keyword in the article. Also, Sentences should be written in proper format and without any grammar mistakes. Only 2-4% of the entire article should consist of targeted keyword and LSI keywords combined. Longer articles tend to rank better in Search Engine, but longer articles with concise writing help in both SEO and User Experience. Always try to write small paragraphs of 2-3 sentences which makes the article more readable and user engageable. Technical writing (multiple sentences within a paragraph) makes your article boring and because of that user will bounce back from your site for sure. A concisely written article will stop users from clicking the back button after visiting your site. These are the few of the very standard SEO Techniques that can help you produce an SEO Optimized Article. But, don’t designate yourself as an SEO Profesional after knowing this trick and start Boasting about it. Learning SEO takes practice, patience, and testing. Try new ways and see what works for you. How many search engine optimization tips and tricks did you know before reading this post? Is there anything in your mind that can make the above article more useful? Share your thoughts in the comment section. Well hello there. My name is Larry. I am a blogger and writer entering in my 15th year in this industry. I like to read and write. I am also associated with a software company that provides Microsoft Dynamics 365 Development.